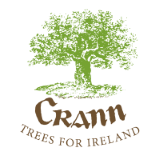 On behalf of Crann – Trees for Ireland, Dale Treadwell, the well known ecologist who has appeared many times on Children’s TV, carried out a number of school projects for us. He has the ability to relate to children and get them genuinely interested in wildlife and the benefits trees bestow on us all. The children themselves plant the school trees with Dale’s assistance. This is primarily a fun event where the children will learn, almost without realising it, how valuable the trees are to themselves and the wonders of the natural world. We have found by experience that this approach really works. In 2007 Dale visited schools nationwide with the Naturally Wild Roadshow introducing students to the animals and plants that are to be found all around them in their own gardens, fields and school grounds (especially the mini beasts). Following theses biodiversity workshops, the students join Dale in the planting of trees to enhance the school grounds. In 2008 & 2009 Crann continued with this successful environmental education approach and we brought the Roadshow, which incorporates classroom workshops, adopted for the various age groups, followed by tree/hedgerow planting in designated areas, to more schools. Schools in the Ballymun area also benefited from our Roadshow. Crann welcomed the opportunity to work with the Ballymun Regeneration committee by providing trees and education/awareness to the community of Ballymun. We believe that this project will have a huge impact on the school children involved. The schools visits will reap dividends for years to come as the children grow and become the community leaders of the future. We have seen this already happening through our ongoing schools programme. This programme greatly assists Crann’s efforts to raise ‘public awareness’.